Our very special guest, Mahendra Lohani, who is here to speak at the 12 Stones showing on Sunday will join us for our meeting. A wonderful opportunity for us to meet with him, hear his stories and ask questions. He is the Vice President of Heifer International's Asia and South Pacific regions. We will finish our agenda as quickly as possible to have lots of time for Mahendra. * "Talking about Heifer" training will be postponed until the June meeting. * Discussion about up coming movie event. Everyone needs to be there by 3:45 or 4:00. * Evie has started a Napa group. Go Evie! 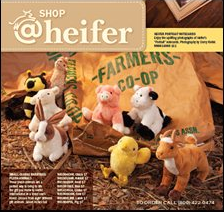 * Caroline thanked all for the publicity about Heifer for the up coming event. * Treasure report will be discussed in June. We have collected $265 in our collection can. What shall we do ? * Earth Day in April in Napa went well. Alexandria and friend sat at the table for the whole event. They were mentioned in the Napa paper. * Heifer 201- This was 4 days on Agro-ecology in Hidden Villa. It is a 1600 acre near Palo Alto. The acerage is bing used for agro-education. There were plans for a Global Village on the property. Mary Blom attended and gave us a short report. * Caroline attended the Unsung Heros Awards ceremony at the Ritz-Caralton in S.F. She had lunch with the honorees. It was a very moving day for her. She had a wonderful day. The Dali Lama said, "Don't look for results now, think about 500 years from now. Do good works because it is the right thing to do." * Later in the meeting we enjoyed a wonderful presentation and conversation with Mahindra Lohani from the main office in Little Rock. He is the Vice president of programs in Asia and the South Pacific region. 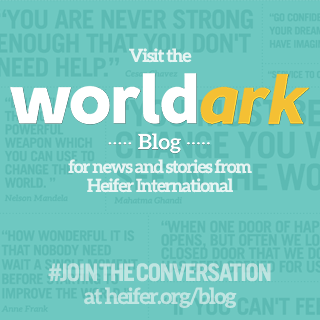 He spoke of growing up in Nepal, and his work with Heifer in Asia, particularly in Nepal. It was quite inspiring and informative. We were all honored to have him at our meeting and grateful for his company. * Our next meeting date and place is unknown at this time. You will receive a notice soon. * Meeting in Sonoma Alternating meeting days? * Discussion of "Outline of Event planning"
0 Response to "Minutes: May 9"